Nearly two centuries after his death, it is still difficult to find an impartial rendition of William Morgan’s story. 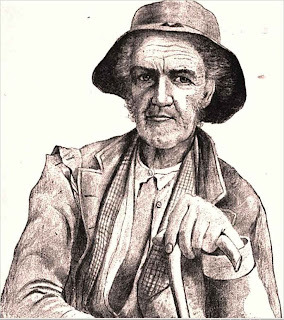 In the 19th Century, several books were written and published by Masonic organizations that depicted Morgan as a drunk, a thief and generally a man of low moral character. They denied that he ever was a Mason and that Masons had anything to do with his murder. In fact they denied that William Morgan was murdered at all. This tradition continues today on Masonic web sites. Another tradition that continues on the internet is the belief that Freemasonry has a sinister influence on all facets of world politics going far deeper and wider than their public face would suggest. To these adherents, William Morgan was a hero who died for free speech. Even the portraits of Morgan used by the two groups are different. Anti-masonic groups tend to use a portrait depicting Morgan as studious and refined (above), while the Masons prefer a portrait of Morgan as a disgruntled old man in tattered clothes (left). We know that William Morgan was born in Culpepper, Virginia in 1774 or 1775. 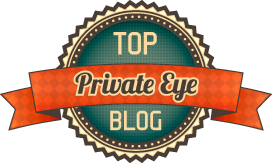 He married Lucinda Pendleton of Richmond, Virginia in 1819 and they had two children. Morgan claimed he was a Captain in the War of 1812, fighting with Andrew Jackson, but that has never been verified. He later moved to Little York, Ontario (now Toronto), where he opened a brewery. It was there, Morgan claimed, that he was inducted into the Freemasons. When his brewery burned down, he left Canada and moved to Rochester, New York, then to Batavia, New York. The Masons question whether he was ever a Mason in Canada, and in fact question whether he ever owned a brewery. In New York he attended a Masonic lodge in Leroy and there became a Royal Arch Mason, though the Masons claim there is no record that he had ever received the preceding degrees. When a new chapter was proposed in Batavia, Morgan signed the petition, however before it was presented to the Grand Chapter, his name was removed and he was not allowed membership in the Batavia chapter. This, presumably, was the event that prompted Morgan to write a book exposing the secrets of Freemasonry. He teamed up with a printer named David Cade Miller, and two other men, John Davids and Russel Dyer, to publish the book. 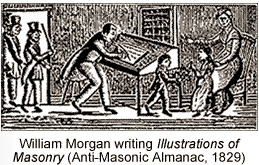 In the summer of 1826 Morgan published an advertisement saying that a book would soon be available revealing the secrets of the Masons for a dollar a copy. Soon after, there were mysterious fires at Miller’s print shop. It was alleged that the fires were set by freemasons, though they accused Miller of starting the fires himself as advertisement for the upcoming book. On September 11, 1826, William Morgan was arrested for stealing a shirt and tie, and taken to a jail in Canandaigua, NY. He was soon released for lack of evidence, but immediately re-arrested for failure to pay a $2.69 debt to an innkeeper. On September 12, a group of men came and paid Morgan’s fine. As they took him away Morgan was heard hollering “Murder!” William Morgan was never seen alive again. 54 Masons were indicted for Morgan’s kidnapping. In 15 separate trials 10 Masons, including Niagara County Sheriff, Eli Bruce, were convicted and given sentences ranging from 30 days to 28 months. Because Morgan’s death could not be confirmed, murder charges were never brought. In October 1827, a body washed up on the shore of Lake Ontario. Three inquests were held for the corpse. The first said the body was unidentified. In the second, the corpse was shown to William Morgan’s wife who identified her husband primarily by his distinctive teeth--Morgan had two rows of teeth and several of them were broken. His doctor also identified the body as Morgan. 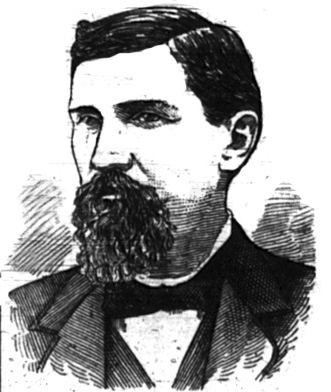 Thurlow Weed, a New York politician opposed to the Masons was on the inquest committee. The Freemasons accused Weed of mutilating the corpse to resemble Morgan. 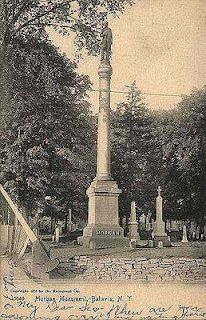 At the third inquest, the body was shown to the wife of Timothy Monroe, another unrelated missing man. Mrs. Monroe positively identified the corpse as her husband and that is the ruling that stood. The Freemasons (then and now) admitted that a misguided group of their members did kidnap William Morgan but did not kill him. They claimed he was given $500 and set free in Canada. Morgan was supposedly seen alive in such exotic places as Smyrnia in the Ottoman Empire, and the Cayman Islands. New York Governor DeWitt Clinton (a Mason) offered a $1000 reward for information proving that Morgan was alive. It was never collected. Shortly after his disappearance Morgan’s book, Illustrations of Masonry, was published (It was republished later under other titles, e.g. : Morgan’s Freemasonry Exposed and Explained, The Mysteries of Freemasonry). The publication, together with outrage over the light sentences given the kidnappers fired up a wave of anti-Masonic sentiment that spread across the country. 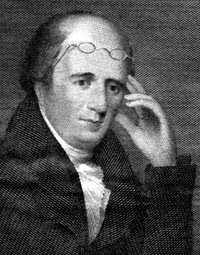 Thurlow Weed and others formed the short-lived Anti-Masonic Party and ran a candidate in the 1832 presidential election won by Andrew Jackson (a Mason). In that election the Anti-Masonic party carried the state of Vermont. The Anti-Masonic party was eventually absorbed by the Whigs and some of their members were instrumental in the founding of the Republican Party. Cross, Whitney R. The Burned-over District: The Social and Intellectual History of Enthusiastic Religion in Western New York, 1800-1850 . New York: Cornell UP, 2006. This is hardly an unbiased account. You write: "Soon after, there were mysterious fires at Miller’s print shop. They were presumably set by freemasons ..." your proof is what? Were any charged, tried and convicted? You cannot make presumptions based on a complete lack of any evidence. Maybe I should have said "reportedly" instead of "presumably," Everything stated in this post came from one of the works cited. There is so much disinformation spread by both sides in this case — then and now — that it is impossible to be completely accurate. But I contend that this is the least biased account of William Morgan's disappearance on the internet. I would rate this account as unbiased but, not exactly accurate. I traveled to Old Fort Niagara (then Fort Niagara) where Captain William Morgan was held and disposed of by the masons. While they admit he was held there and that he wrote the book (cover on display there). They will not state he was found washed ashore less than 40 miles below Fort Niagara, identification verified by dental records and by both his wife and doctor. The masons controlled the medical examiner's office and one lone woman identified the body of Morgan as her husband and that identification is the one recorded in the records. The tour at Old Fort Niagara is mysteriously joined by a man who was not on the tour from the beginning, he only joins at the point where Captain Morgan's book cover is on display to act as damage control. He has no fluorescent sticker displayed upon his person to indicate he has paid for the tour like everyone else does in order to begin the tour. The mason's practice favoritism to a degree (no pun intended) that no regular person can even imagine. Anyone who speaks of this corruption through brotherhood favoritism is discounted as a conspiracy theorist, whacko, or nut job. He sure was able to write the confirmation of all of those degrees pretty specifically and accurately. I mean for someone who masons claim was never even admitted to the lodge to begin with. John Quincy Adams was a member of the Anti-masonic party which arose from the Morgan murder. Henry L. Valance admitted on his deathbed in a confession, that Morgan was kidnapped 9/11/1826 by Masons for writing: Illustrations of Masonry, He was taken North, and Later murdered by Freemason Henry L. Valance and a council of 8 masons who determined Morgan would be drowned in the Niagara River just as the masonic blood oath states for those who reveal masonic secrets. There is the William Morgan of 1826 and then there is an author today teaching at Princton whose name is also William Morgan who wrote a book or two on the deceased William Morgan. Since we cannot ask the dead William Morgan to add a middle initial to his name, we can ask the living William Morgan to add a middle initial to his name if he insists on writing books or articles on the deceased William Morgan. Otherwise, we the readers see a title on a book, see the author's name as William Morgan, and think it is the original expose by the deceased William Morgan. But, we are fooled by the living author who is using his name to trick readers into thinking the author is the deceased William Morgan. That is pretty devious and unbecoming of a college professor. If you see a left shoe do you presume that there is a right shoe, or are all presumptions wrong because of lack of 'evidence'. Actually, one of the principal assistants in the murder of Morgan was Richard Howard, a high mason. A detailed account of his confession is contained in an 1853 book written by a then Mason, Avery Allyn, K.R.C, K.T.K.M, who, citing his conscience and desire not to be an accessory after the fact to the murder, moved out of Freemasonry and wrote the book: "A Ritual of Freemasonry." And fellow masons helped Howard to escape to Europe. There's a slightly different account in this very old book: United States or Republic of America By Emma Willard fourth edition 1844 on Page 314: "11. On the 4th of July, 1826, died, John Adams and Thomas Jefferson...the same day...The next anniversary witnesses the death of Mr. Monroe. A Man by the name of William Morgan, who was preparing to publish a book, puporting to disclose the secrets of free-masonry, was taken, on the 11th of September, under color of a criminal process, from Batavia...-examined and discharged; but on the same day he was arrested for debt, and confined in the county jail, by the persons whobrought the first charge against him. they discharged the debt themselves [is that the Masonic deal? ], and on his leaving the prison in the evening he was seized, and forced into a carriage and was rapidly driven out of the village, and he was never seen by his frineds again. The Legislatureof New York appointed a committee of investigation..." ~and it goes on some from there. I thought it an interesting find, no matter if it aids anyone or not. So did his book ever get published to where we can read it as he wrote it or has it been changed to add to the cover up? In those days fire devastated a structure and was usually a total loss. I wonder since it says mysterious "fires" if there were more than one how many years apart they were for reconstruction, or if they could have been so small as to managed by the people in the building and maybe as such set by then to promote the upcoming book. I happen to agree that in my limited reading on the issue this happens to be the least biased so far. As you have stated however there is much false information. For example this is the first I have heard of a "blood oath"
You seem to be particularly bent against the freemasons. Youre the first person I have seen write of a blood oath and from what I have read before you found some Masonic words. Please explain this "blood oath"
Then they TELL you- IT IS THIS WAY... IT HAS ALWAYS BEEN THIS WAY! Please be advised: From this point forward, I will delete any comment about Freemasons, the Illuminati, World Jewry, etc. either pro or con, unless it is directly about the death of William Morgan.